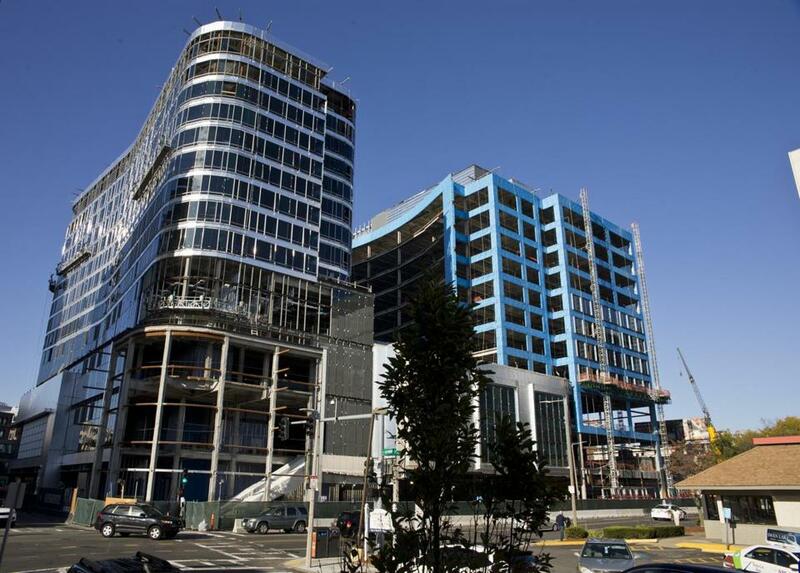 The CityTarget at the corner of Boylston and Kilmarnock streets will occupy four floors. Big-box retailers and giant supermarkets, from Walmart to Wegmans, know how to reshape their strategies for a city market. The first rule of thumb: Make the stores smaller. 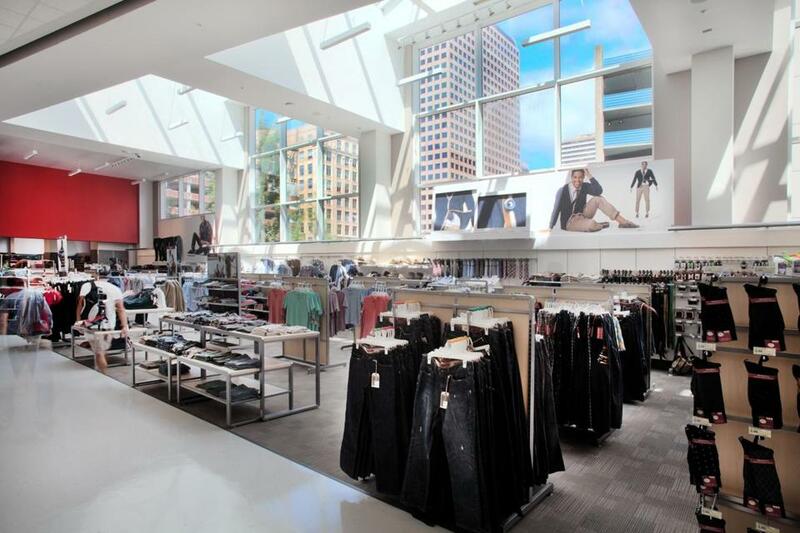 Target Corp. is coming to the Fenway area next year with its own urban-concept store called “CityTarget,” the retailer’s first on the East Coast. But this location will actually be bigger. The CityTarget that will occupy four floors in a building under construction at the intersection of Boylston and Kilmarnock streets won’t just be bigger than the company’s other urban stores. It will be even bigger than an average full-size Target store. The CityTarget in the Fenway will cover a whopping 160,000 square feet. Escalators, elevators, a first-floor lobby and fourth-floor stock room will reduce the overall shopping space to something comparable to the standard Target store, which occupies about 135,000 square feet, said Kamau Witherspoon, Target’s senior director of store operations. Another point of comparison: Target’s only other Boston location, in South Bay Center, replaced a Kmart store but still covers only 117,000 square feet. Witherspoon said the company selected the Fenway property because of its location. The large scale isn’t much of an issue because the retailer can customize the CityTarget model to fit the space, he said. Witherspoon said the company finds it increasingly difficult to identify sites for full-sized stores in densely populated areas. The Minneapolis retailer first introduced the CityTarget concept two years ago to solve that problem. Now there are eight CityTarget stores — in Chicago, Seattle, Los Angeles, San Francisco, and Portland, Ore. The urban store’s size can be customized like the inside of the Seattle CityTarget. The stores often occupy less square footage than a traditional Target, offering more products geared toward pedestrian commuters and urban dwellers. For example, the store will sell two-person bistro sets instead of six-person patio sets and 8-pound bags of dog food instead of the 40-pound bags found at typical stores. The store also will offer a grab-and-go food assortment for busy commuters and a grocery section. A Starbucks will also occupy part of the second floor. Mike Tesler, a retail professor at Bentley University, said the unique floor set-up might create a challenge for the retailer because there is no merchandise on the first floor. Customers must travel up an escalator or elevator to reach the products. Target is among many big-box retailers that have grown over the last few decades by focusing on giant stores in suburban markets. Now that suburban sprawl has slowed, those companies are following the migration of residents back into urban areas to try to boost sales, said Marshal Cohen, chief retail analyst with the NPD Group, a market research firm in New York. Most retailers are still trying to prove that the formula of smaller stores with fewer products can generate enough sales to work. Target’s move to expand its CityTarget stores to the East Coast with the new Fenway location suggests the retailer might have identified a rare growth opportunity in a relatively stagnant industry, he said.